Next Thursday – 19th June, 2014 – we will be holding our Annual General Meeting as you know and our guest speaker will be Kathryn Ogden who will give her talk entitled ‘A Venetian Experience’ – (Life in La Serenissima). It will be a great pleasure to welcome Kathryn to U3A Tod and I know we can look forward to an interesting presentation including a fabulous slideshow. Although the majority of you have renewed your membership for 2014-15 (only £15) there are still quite a few who have not – we urge you to do so promptly. You can renew by paying at the AGM next week or by post to U3A Todmorden, Sento House, Halifax Road, Todmorden. OL14 5QG. All you need to do is enclose your name with your cheque – we have all your other details already. 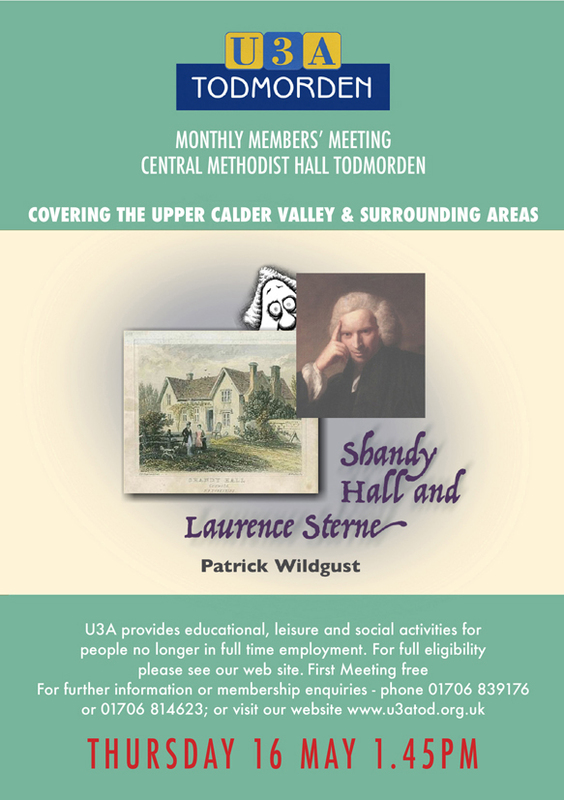 If you wish to set up a Standing Order you can download the form from the U3A Todmorden website and post it to us or, again, you could bring it to the meeting. We will also have these forms available at our AGM next Thursday. Please let us know by telephone or email if you have decided not to renew your membership. We can then ensure that you will not be troubled with any further reminders and also this will mean that U3A Tod will be saving funds by not sending out the magazines etc. to you. I look forward to seeing you next Thursday.